Woolwich Twp NJ Real Estate Info will help you learn about the area and its surroundings including Rt 322 and Swedesboro. 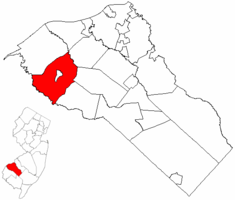 IT actually surrounds Swedesboro and portions of the NJ Turnpike pass through the area, as well. I-295 is very close and can be easily accessed.